Why is Arizona extra special? 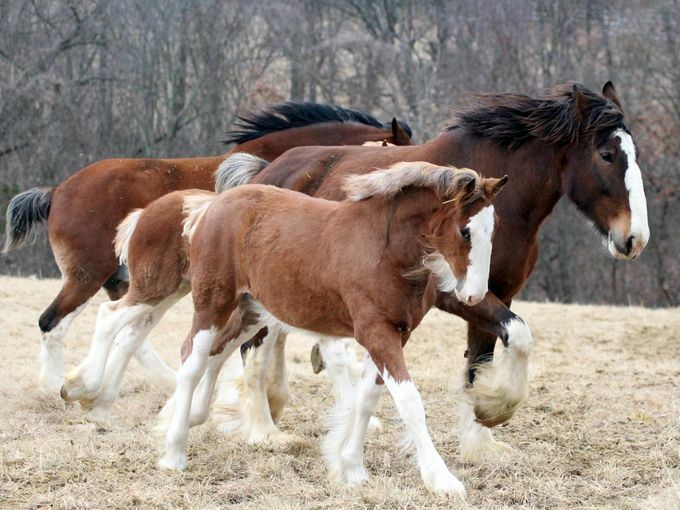 She was born on February 1, just a few minutes before Budweiser’s newest Clydesdale and puppy starring commercial aired for the Super Bowl! Maybe she is destined to be a future commercial star? 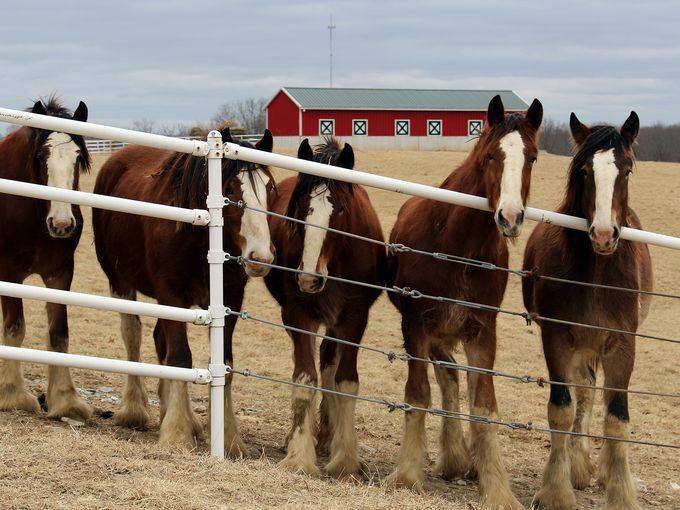 Warm Springs Ranch is home to many Clydesdales, some of whom starred in other Budweiser commercials. 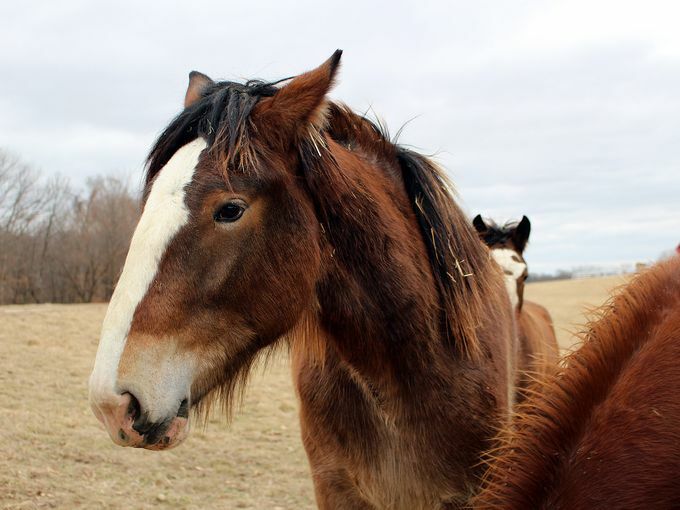 Warm Springs Ranch is closed for the winter, but come spring you can take a tour and see these famous horses for yourself! The Ranch opens in March, tours are by reservation only. They run from 10 am to 2 pm, Monday, Tuesday, and Thursday through Sunday. 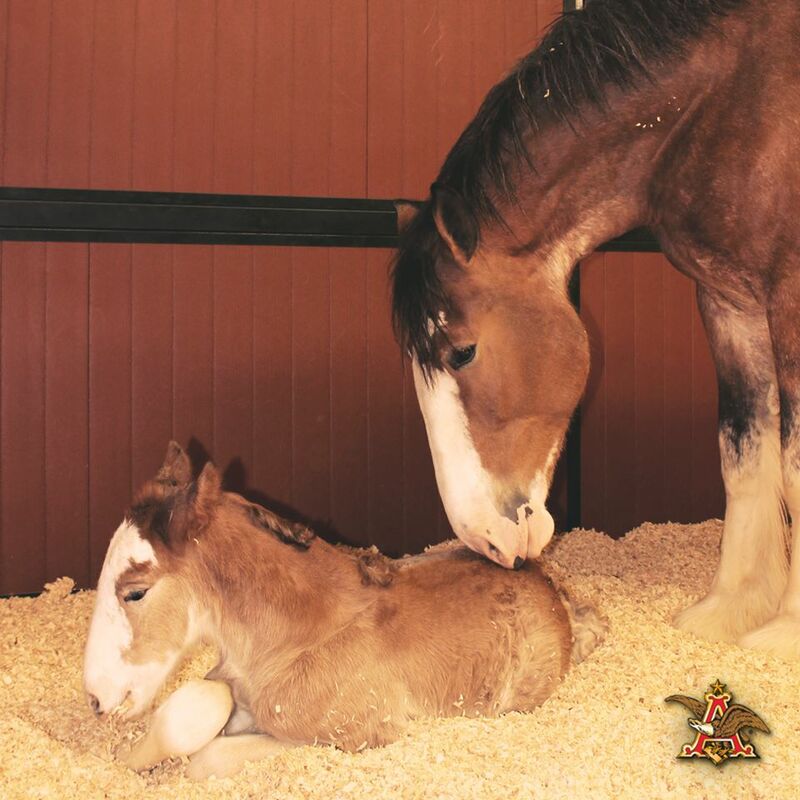 This is Memory, born September 11 2014 and her mother Monica. Interested in booking a tour? 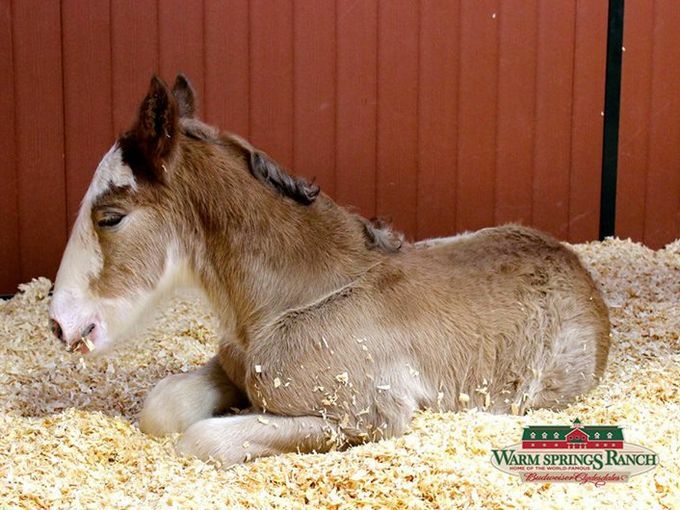 Take a look at Warm Springs Ranch’s website here. Or check out their facebook page here.